***Disclosure, the below post contains affiliate links, which means that I may get a commissions if you decide to purchase anything from Fit & Fresh however, I only recommend products that I use and love myself, so I know you’ll be in good hands. Hello again lovelies! Today I have a super fun find to share with you! As you may know, I recently had a job change which has caused me to become part of the brown bag lunch crew. What I mean is, I no longer work in a hospital with readily available warm and healthy lunches. 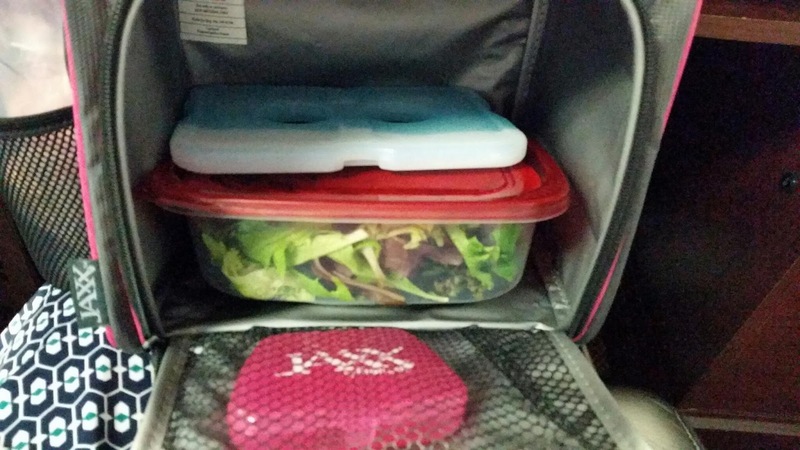 I pulled out the ‘ol lunch box when I started my new job and started meal prepping again. I don’t eat fast food (with the exception of pizza….drool!) and I’m a mom on a budget who just can’t afford to eat out every day. 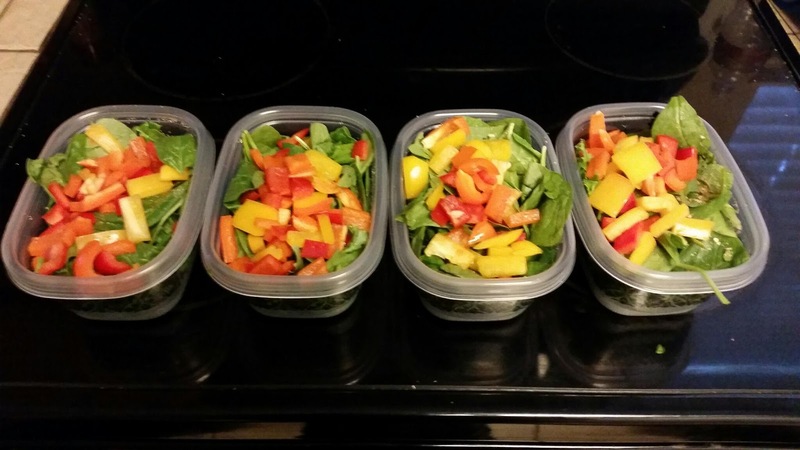 I need healthy meals on the go and I need to be able to have them ready to pull in hurry. When you get up at 5am to work out and have to be at work right after, you’re lucky to get a full shower let alone make a lunch. 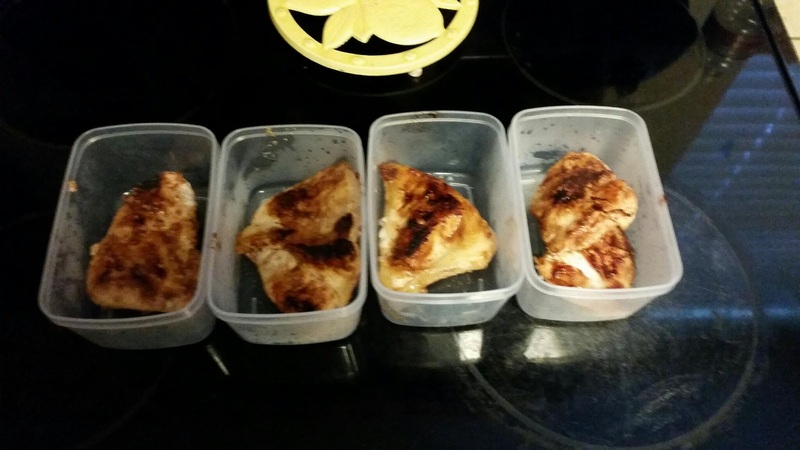 Meal prep to the rescue! My “ol faithful” was looking a little sad. I’ve had it for over 3 years and it’s been through the ringer. As you can see, it’s literally falling apart. 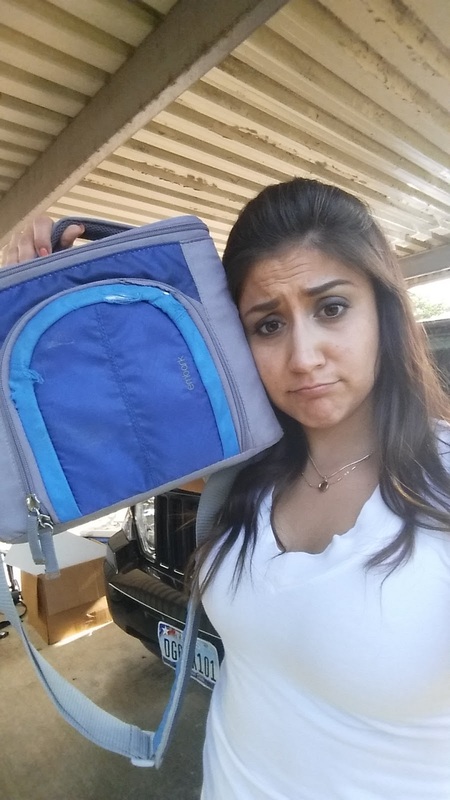 I held onto it for as long as I could because it was so much bigger than the average lunch box and kept my food cold. So you guys know that I’m always on the lookout for affordable products. 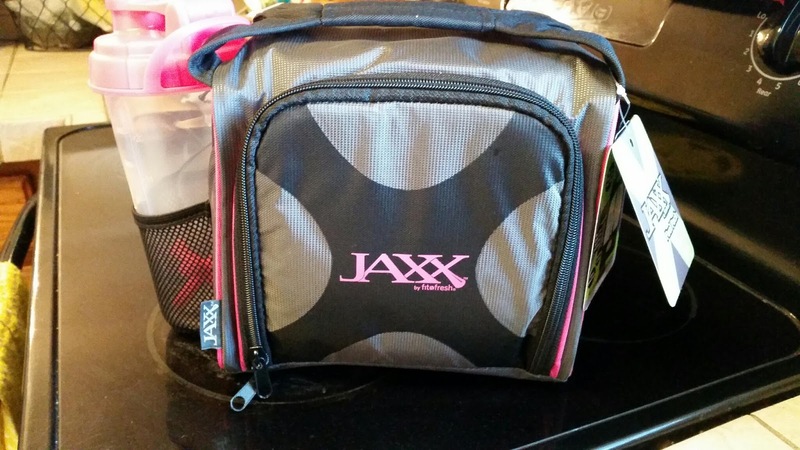 A few weeks ago I was on one of my usual evening Pinterest binges when I came across a pin for the Jaxx Fuel Pack by Fit & Fresh. It looked strangely similar to some the more popular body building fuel bags but the price tag was about half. 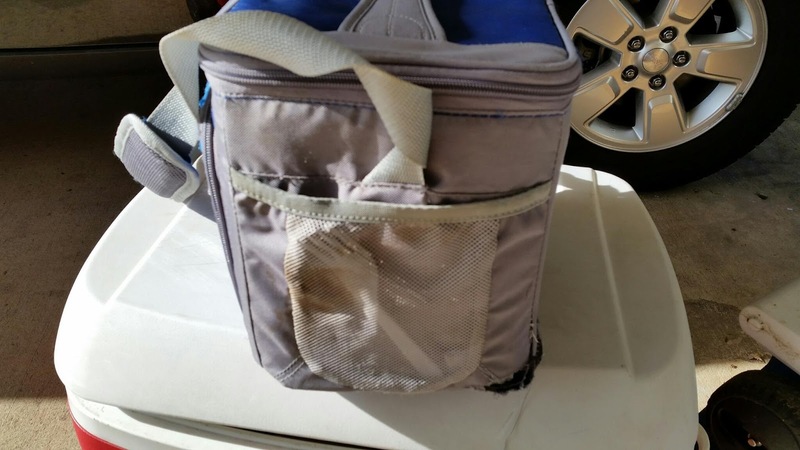 You may have seen other fitness fuel packs grow in popularity among the Instagram and Facebook fitness community. They look great but when you’re on a budget and you’ve somehow become addicted to triathlon gear, there is no way in haities that you’re going to drop $80+ dollars on a ding dang lunch box on steroids. Not to mention, I’m not pumping iron or trying to “make gains”. 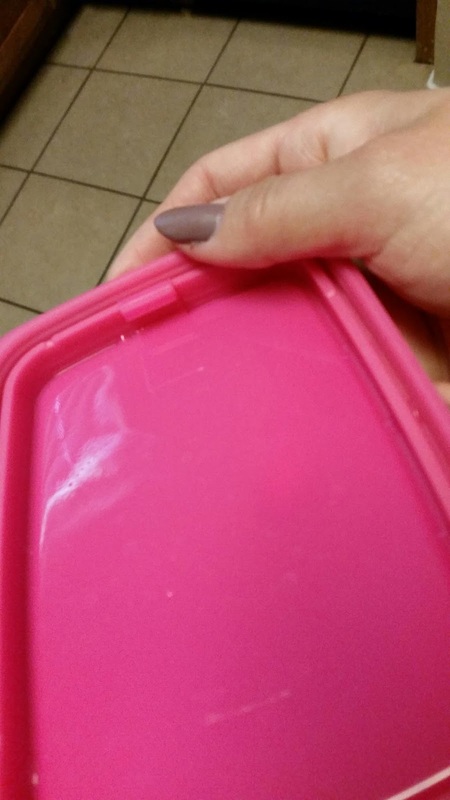 I’m a 125 lb, 5’ 3” woman on a strict 1300 calorie diet (unless I’m training for a big race) I don’t need a lunch box that will carry 6 full meals a day. I just need something small, portable, and (of course) pretty. 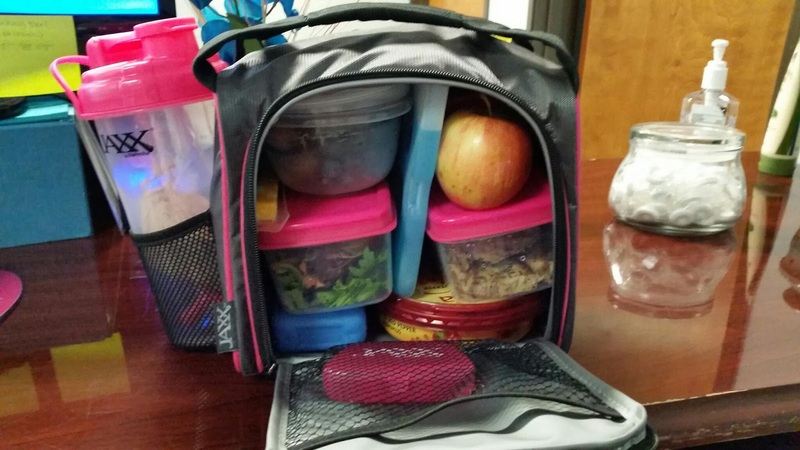 I do however, need something bigger than the average lunch box, a running girl’s gotta eat ya know! What attracted me to the Jaxx fuel pack was the smaller size and the fact that it comes with all accessories included. 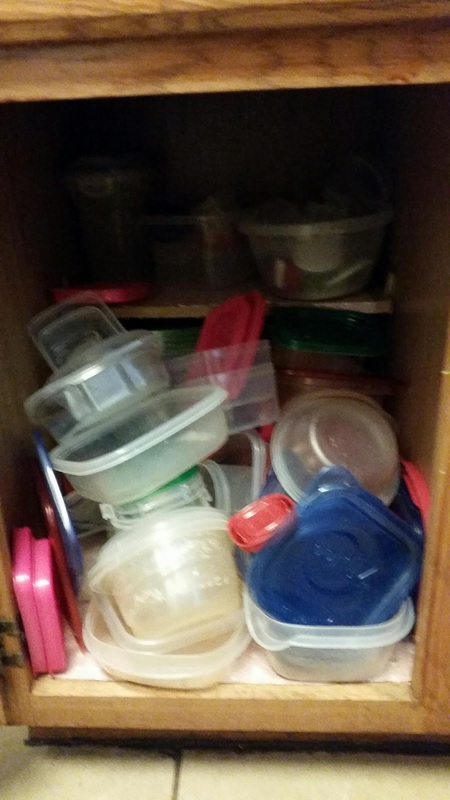 I have a whole cabinet full of mismatched Gladware and Ziplock reusable containers that might very well give my husband an aneurysm. 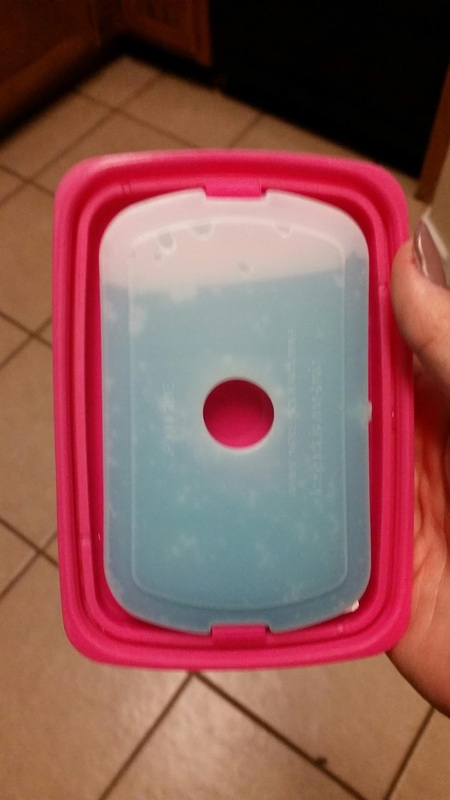 I swear every time he opens that cabinet door containers and lids come pouring out and we can NEVER find a matching lid. What’s awesome about Fit & Fresh is that their site offers a ton of products designed to make it easy to eat healthy at work or on the go. 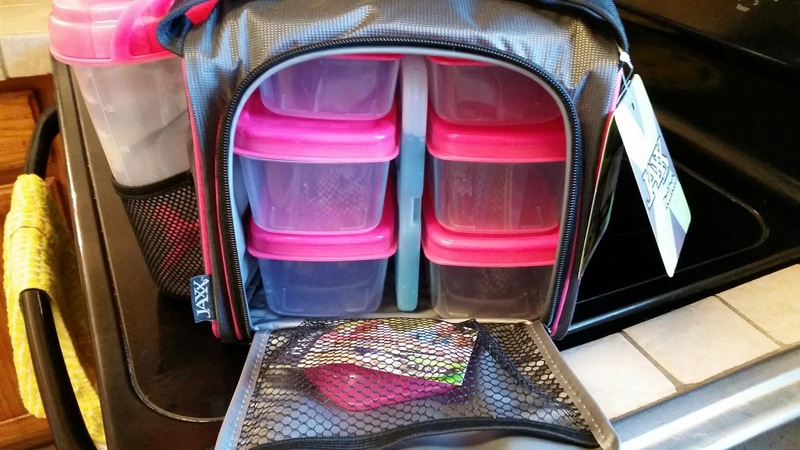 All of their lunch kits come with containers included. 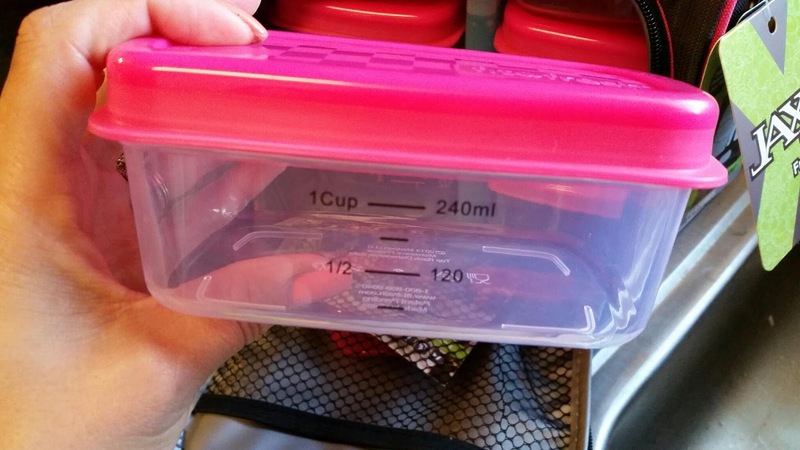 The Jaxx Fuel pack comes with two 1 cup containers, four 2 cup containers for larger portions and they’re all marked with measurements on the side for easy portion control. 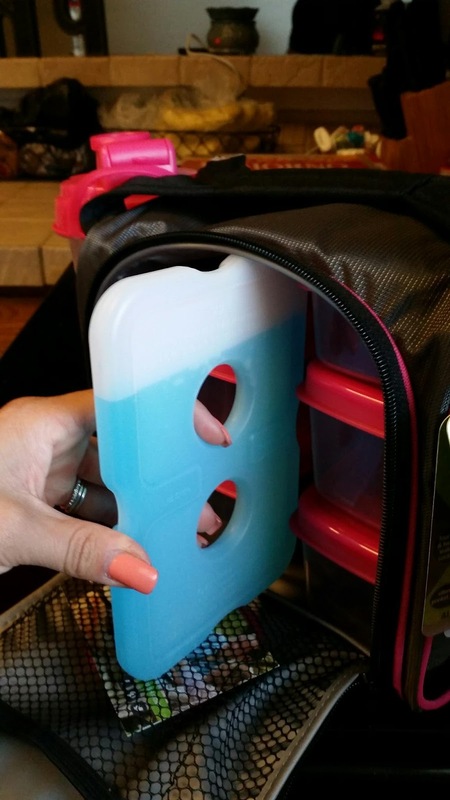 They’ve included a thin ice pack that fits snug between the containers to keep your food cool all day. I also love the Jaxx shaker pocket on the side. I don’t always have protein shakes but I do try to make fruit smoothies fairly often so this shaker is great to carry those along or just use for every day water. 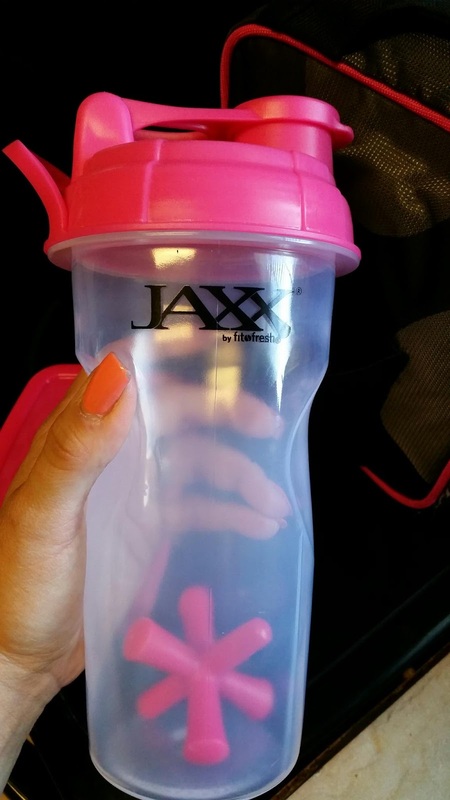 If you have daily vitamins or supplements the Jaxx Fuel pack also comes with a handy vitamin case…and it all matches! You can get this pack in pink/black or red/black. I obviously had to go with the pink! The first week I used the fuel pack I figured out pretty quickly that I was going to need more containers. The pack comes with 6 total but I make all my lunches on Sunday night for 4-5 days that week using anywhere from 3-4 containers per day. Luckily Fit & Fresh also offers individual spare containers or packs of extra containers that you can use with your lunch box. What I love about their containers is the design. They’re nice, durable, and well made. 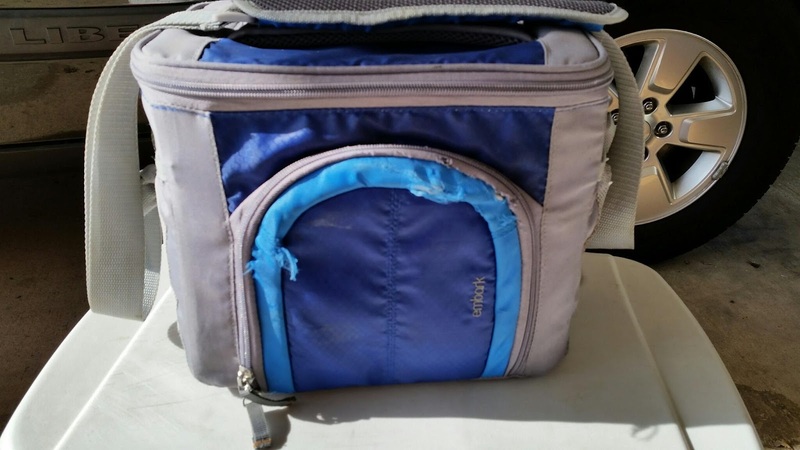 The lids snap tight for a leak proof seal and if you look closely at the lids you can see two locking tabs, these are specially designed to hold the Fit n Fresh cooling packs! Sadly the Jaxx fuel pack doesn’t come with the nifty lid cooling packs but you get a set for free when you order is $40 or more. Not to worry though! If you’re like me and you already have stock pile of reusable containers, those can still be used with the Jaxx Fuel pack. 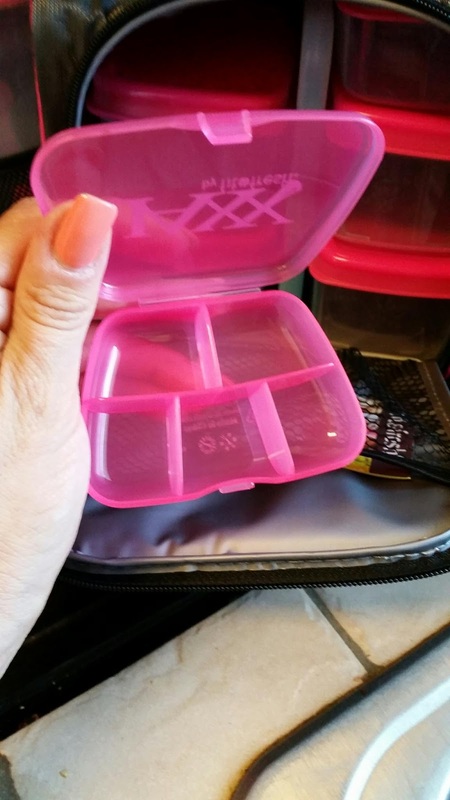 I tested it with my usual containers and found they all fit just fine so long as they aren’t too wide. Overall I give this fuel pack two thumbs way up. 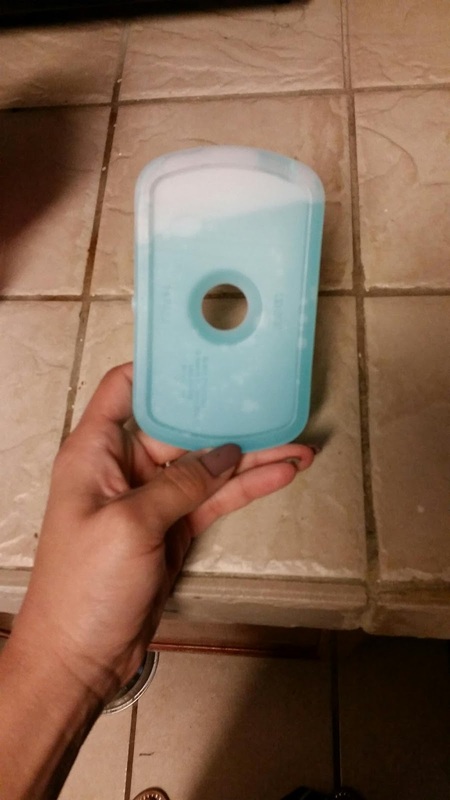 It’s a functional product that really makes life a heck of a lot easier. 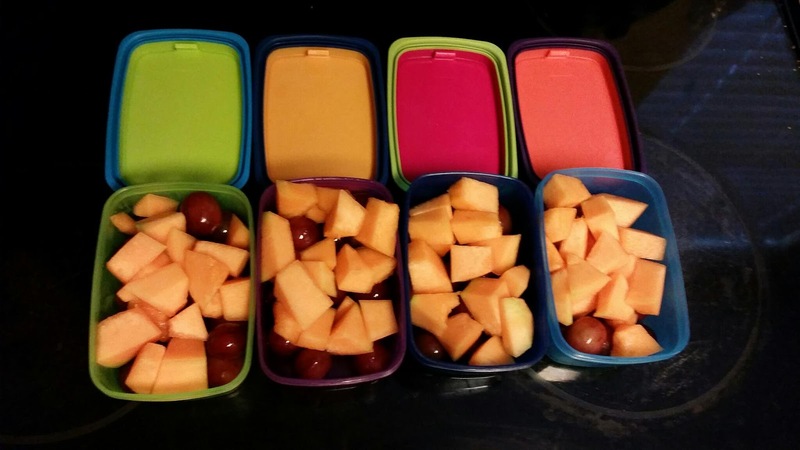 Even though it comes with 6 containers I find that I don’t need all 6 every day. There is plenty of room for what I need and then some. 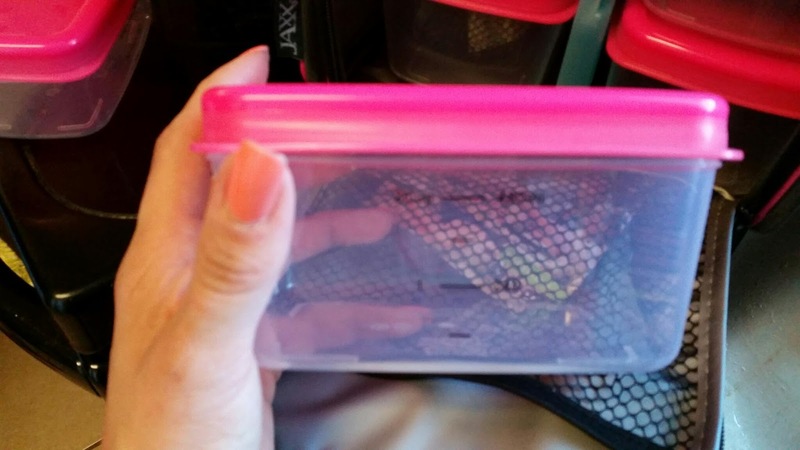 I use the extra space to hold yogurt, fresh fruit, and even snack bars. Fit & Fresh has provided a special promo code if you’re interested in purchasing one for yourself. Hurry the sale ends July 31st! Also, be sure to check out their website for other great deals! Here are a few other discounts they’re currently offering that you might be interested in. HelloFresh – Is it Worth It?